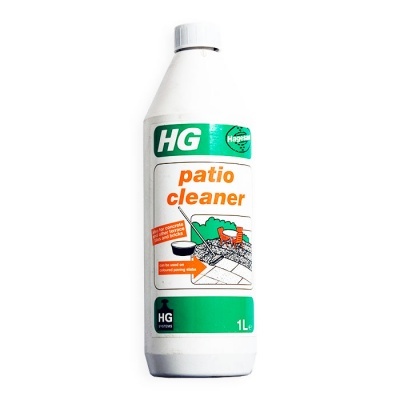 HG Hagesan Patio Cleaner 1 Litre Bottle provides a highly concentrated cleaner for use on marked or stained brickwork, terraced slabs, paving or concrete. HG recommend the liquid is diluted into 4 litres of water which should be brushed or scrubbed over surfaces to remove dirt and stains. Diluted cleaner should be left to work for simply a few minutes, followed by a thorough rinse with water before product dries. Great results! Chemical safety guidelines supplied by the Manufacturer on the Packaging.